The expansion is now available for pre-purchase! https://www.guildwars2.com/en/news/guild-wars-2-heart-of-thorns-is-available-for-pre-purchase/ If you pre-purchase, you will have access to every beta week-ends. Happy birthday Knuckles! Have a nice day! 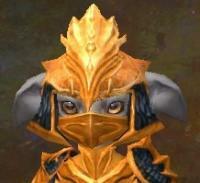 Major combat changes are in the way : https://www.guildwars2.com/en/news/combat-changes-dotsanddashes/ this should be implemented with the specializations update. EDIT June 17 : Stacking condition cap has been increased to 1,500 (from 25). Burning can now be stacked too. It looks like the trait system rework (aka regular specializations, not the elite ones) will not be part of Heart of Thorns. It will be released in the next update, according to this blog post : https://www.guildwars2.com/en/news/come-home-to-lions-arch-in-the-next-update/ Oh and the new rebuilt Lion's Arch will be included in that update too. Here's the official blog post : https://www.guildwars2.com/en/news/meet-the-reaper-necromancers-elite-specialization/ Necro with Greatsword and Shouts? Now that's something I'm really interested in! Here's the official blog post : https://www.guildwars2.com/en/news/meet-the-chronomancer-mesmers-elite-specialization/ That one looks like a whole lot of fun! I bought it a few months ago, and haven't played yet. Flooxim replied to tomi's topic in The Daily Grind: Real life right here! It's been confirmed on Friday : it has been the coldest month ever recorded in the history of Quebec. I think we're about to break the record for the coldest winter ever in the province of Quebec. After watching the latest Points of Interest episode (this is the GW2 mostly community-related show), beside from seeing the revenant skills, devs said that the Stability boon (immunity to Crowd-Control skills) will no longer be duration-based. It will become intensity-based, kinda like the Blind condition. I think in PvE some bosses already have something like this. It's called Defiance if I remember correctly. Here's the official blog post : http://www.guildwars2.com/en/news/revenant-the-master-of-the-mists/ I can't wait to see it in action! Here's the official blog post about this new game mode : https://www.guildwars2.com/en/news/stronghold-the-battle-of-champions-dusk/ Looks kinda MOBA-ish, but still interesting. Phone land line, time to give it up>? When I got my new cellphone about a month ago, I picked an unlimited calling plan. So I also thought of cutting out the land line. When I called to cut it, I've been offered to keep it, but pay $8/month instead of $25/month for it, so I ended up keeping it. During the latest Points of Interest episode on Twitch, an Adventure has been shown. The player had to burn as many vines as possible within a time limit. This kind of adventures will have leaderboards so you can compare your results with your friends, other guild members and everyone. Here's the official blog post : https://www.guildwars2.com/en/news/journey-into-the-heart-of-maguuma-in-guild-wars-2-heart-of-thorns/ I like the idea of stories inside the outposts and events happening about what's going on. I'm not too sure about these adventures, especially if there are timed Jumping Puzzles. Here's the official blog post : https://www.guildwars2.com/en/news/reimagining-progression-the-mastery-system/ We finally got new info about the mastery system. I've been suprised to read that level 80 characters will no longer receive skill points when they fill their experience bar. EDIT : Fixed the link. According to this interview :http://www.pcgamer.com/guild-wars-2-heart-of-thorns-interview/#page-1 The expansion will be playable at PAX East in early March. The beta "should" be right after that. You're right. Maybe not, the mesmer is using a greatsword, and it has long-range skills. I'm really looking forward to this expansion, and I can't wait for more details on the specialization system!